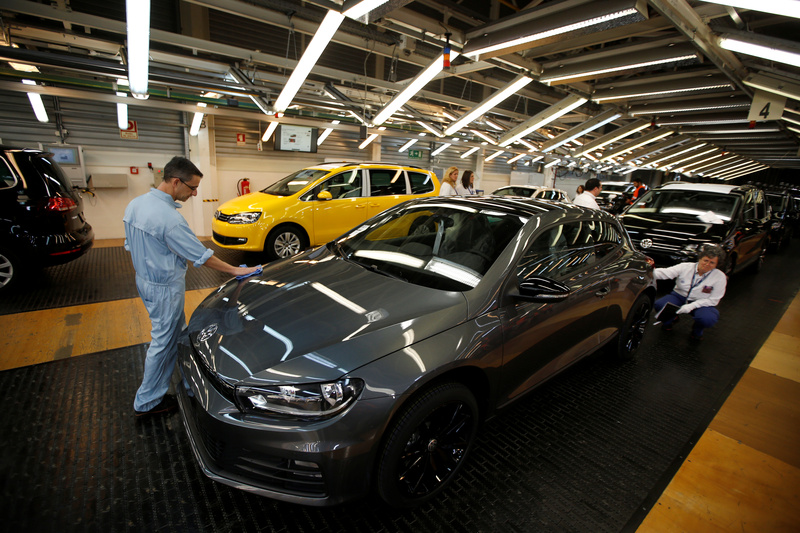 Employees work on an assembly line at the Volkswagen car factory in Palmela, Portugal, December 9, 2016. U.S. President Donald Trump said on Feb. 7 that he wouldn’t meet with his Chinese counterpart, Xi Jinping, before a March 1 deadline. That’s when tariffs on $200 billion in Chinese imports are set to increase from 10 percent to 25 percent. Trump has said that if there is a trade deal with China, it would be finalized between him and Xi. The Trump administration is also engaged in separate trade talks with the European Union and Japan. Neither of those negotiations are going well, largely because of differences over what topics should be included in the talks, people familiar with the matter told Breakingviews. Lawmakers introduced a bipartisan plan in Congress on Feb. 6 that would restrict a president’s ability to impose tariffs based on national-security concerns. The proposal would allow the House and the Senate to pass a disapproval resolution to stop a tariff imposed by the executive branch from being implemented. Republican Senators Rob Portman of Ohio and Joni Ernst of Iowa and Democratic Senator Doug Jones of Alabama are the main sponsors of the bill. Another bipartisan bill would require congressional approval before a president imposes tariffs based on national-security concerns. The main sponsors of that bill are Republican Senator Pat Toomey of Pennsylvania and Democratic Senator Mark Warner of Virginia.